If you or a member of your family has been diagnosed with a cardiac inherited disease, you’re in good company. These conditions are much more common than was believed just 10 years ago – for instance, about 1 in 2000 people are carriers of long QT syndrome, and about 1 in 500 carry hypertrophic cardiomyopathy (HCM). It’s true that some cardiac inherited diseases can have serious consequences. However, the good news is that relatively simple medical management can be extremely effective. For some people with Brugada syndrome for example, the only medical advice we may give them is to avoid certain medication and triggers. For those with long QT syndrome, a daily medication in the form of a beta blocker and avoidance of certain other medications and triggers may be all that’s needed. Some people with severe forms of these conditions may need a pacemaker-defibrillator. Each patient is assessed differently. Unfortunately if you have been diagnosed with a cardiac inherited disease it could mean that other members of your family also have the same condition. Most of the cardiac inherited diseases are known as ‘autosomal dominant’, meaning that family members with the condition have a 50% chance of passing the gene onto their offspring, and in most cases tends to pass on to males and females equally. If you do not have the gene it is unlikely you will pass this on to your off spring, the only way we can confirm this would be with a genetic test (Blood test). It is common for some people not to know if they have the gene as they may never experience any medical problems or feel unwell. That is why it is essential that you and your family members have thorough investigations with a heart specialist. If you have, or are suspected of having, an inherited heart condition, and you live in New Zealand, the Cardiac Inherited Disease Group can help you by putting you in touch with your best local advisors – good counselling and medical management are essential. We strongly advise enrolling with the Cardiac Inherited Diseases Registry. This is a national, ethically approved, clinical registry of individuals and families in New Zealand with an inherited heart disease. It is primarily a clinical tool to help co-ordinate effective screening for families with members at risk. Information about individuals is stored with their consent, or with the consent of their parent or guardian. If the individual is deceased, they can be registered with formal consent. 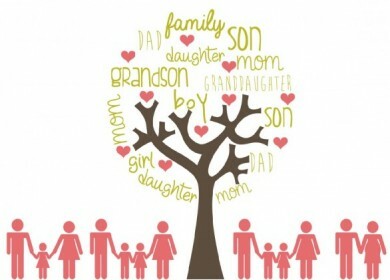 It is important to look at the whole family when looking into your cardiac inherited disease as family pattern of inheritance can help give us a better idea of the condition that is in your family. Therefore we advise that all family members and registered – even if people definitely do not have the same condition. If you know someone with a cardiac inherited disease or even if you don’t, we advise that everyone should know how to perform skills of cardio-pulmonary resuscitation, commonly known as CPR. The Saint John’s mobile app may help with this. You never know when you and your family, or someone waking past you in the street might need it.